Your gut healing journey does NOT have to be an ALL or NOTHING approach, but instead can be a journey of small progressive measured steps to an ultimate destination. That destination will be different for everyone, but do know that at some point in that journey, for a period of time, ALL known inflammatory/trigger foods will need to be removed simultaneously in order to achieve an environment that allows the body to heal the gut. This is not meant to be long term, but enough to achieve healing. So with this in mind, is it really beneficial to have a few pantry staples on hand so that you are always including a gut healing food in some way in your diet on a daily basis or even multiple times a day without out even thinking or making it a big deal. There are a stack of others that can be included, but these are my top 10 to have on hand. 1. 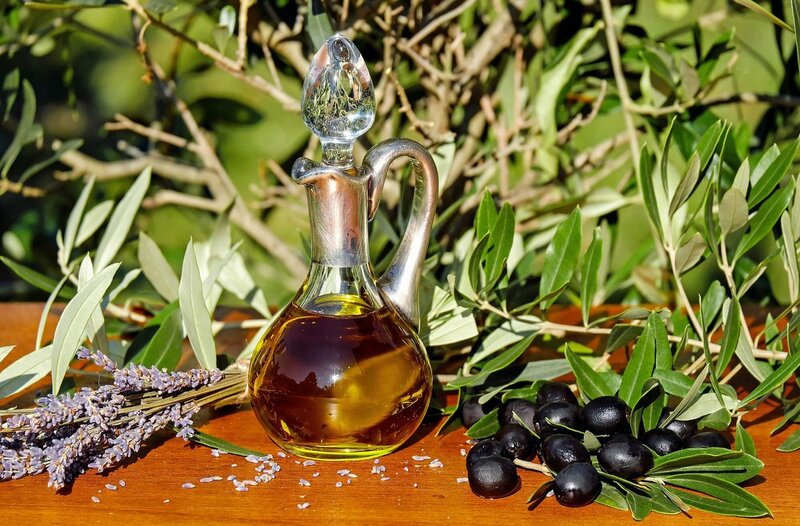 Good Quality Oils such as Olive oil & Coconut Oil – these are a great source of fat that can be added to make salad dressings, marinades, add to tips and included to bliss balls and smoothies (maybe not the olive to a bliss ball and smoothie, I’m not game, but feel free to try:-)). 2. Gelatin (Collagen & Hydrolsed). This is an absolute MUST to any gut healing protocol and is so easy to add to the diet on a daily basis. Ensure you are sourcing an organic pasture fed brand. 4. Tamari – a fabulous alternative to soya sauce which is also wheat free and gluten free with a much more subtle flavour the kids like. 5. Vinegar – Apple cider & Balsamic – Used for salad dressings and added to cooking for a great depth of flavour. Ensure the Apple Cider is organic, unfiltered with the mother. Also great to use as a digestive aid before meals. 6. Nuts & Seeds –Any fresh variety that tickles your fancy, great for snacking, making nut milks and flours for baking. For optimal nutrition & digestion ensure they are properly prepared by soaking and dehyrdrating. 7. Desiccated or shredded coconut – Must be organic with no preservatives added. Can also be used to make coconut milk, the left over pulp can then used to make coconut flour and coconut butter if you have a high speed blender. Good source of protein & fibre. 8. Cocoa or Cacao – Get the best quality possible, great for making bliss balls, slices and homemade chocolate milk. 9. Nutritional yeast flakes – This little number is packed full of nutrition, especially B Vitamins, which are essential for energy production and the nervous system, and has a nice savoury flavour. Some even used it as cheese substitiute. I like adding it to savoury muffins, stews, casseroles or crackers. Easily obtained from a good health food shop. 10. Seaweed – Dulse flakes or nori seasweed sheets- Another great addition that is jam packed full of vitamins and minerals. I often add these to stews and seeded crackers. The seaweed sheets are great for making sushi rolls at home. So get shopping and stocking that pantry with the essentials to start you on your journey. Newer PostHow do I know if I need gut healing?